The median sold price for the Coconut Grove single-family real estate market in 2017 rose compared to the previous year. The numbers are astonishing. What was the median sold price for 2017? How much did the median sold price rise from 2016 to 2017? Coconut Grove buyers are mostly Miami buyers. The demand comes from neighborhoods like Miami Beach, Key Biscayne, and Pinecrest. This local demand makes the Coconut Grove market a very solid market. If you have any questions about sub-neighborhoods (West Grove, North Grove, South Grove, Waterfront properties) or specific products (new construction, Spanish architecture, large lots) contact us for a more targeted analysis. Be sure to hire an expert in the Coconut Grove market. You deserve local expertise and the finest national and international marketing. The market for new construction in Coconut Grove is emerging. "New construction" represents single-family homes built in the year 2014 and after. The expansion of this market is evident with 23 homes sold in 2017 versus 9 the previous year. The median sold price was respectively $1,925,000 in South Grove ($505/Sq. Ft.) and $2,075,000 in North Grove ($490/Sq. Ft.). Only one new waterfront construction sold for $7,550,000 ($769/Sq. Ft.). These homes offer the optimum contemporary features, luxury, and location. As of January 2018 there are 22 new construction properties available. This represents one year of inventory. It is a buyer's market because the available inventory is superior to the 6-9 month level. Buyers of these properties demand superior design and quality. Homes that meet buyers' expectations will sell at a much higher price per Sq. Ft. than those that do not. 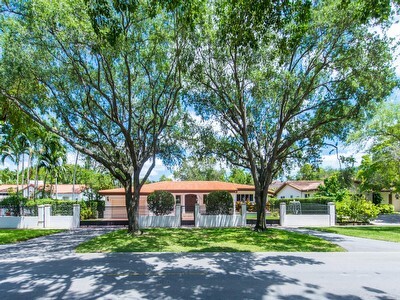 This cozy and welcoming 3 bedroom, 3 bath home is superbly located in North Coconut Grove. Just a short drive from Brickell, Key Biscayne, the beaches, and the Coconut Grove Village. 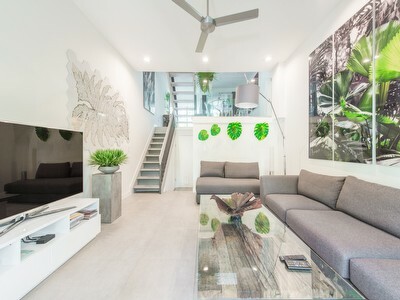 Natural light flows throughout this property, making it very bright and inviting. This sweet home offers a formal entrance, a large living room and dining room perfect for entertaining lots of guests, an expansive and recently renovated kitchen, an office, and a large laundry room with plenty of storage space. The roof is only 2 years old, all the windows are impact windows, and a new electrical system and irrigation/sprinkler system have been installed. 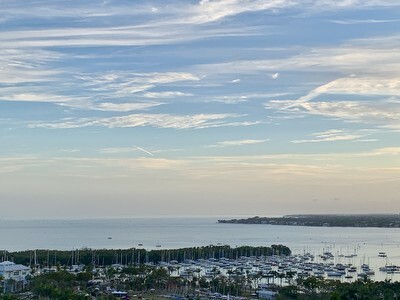 Located in Yacht Harbour, the renowned Coconut Grove building with beautiful bay/water views, this 1 bedroom, 1.5 bath condo is only one block away from the Coconut Grove Village where you can dine or shop, and one block away from the marina where your boat could await you. The condo offers a huge balcony, large enough for a long dining table to entertain your guests, an expansive pool, and two tennis courts. A large, private storage room is offered in the building basement, where you can put away bulky items.